Cruella Devil Before She Smoked. . HD Wallpaper and background images in the Childhood Animated Movie Villains club tagged: photo cruella devil disney 101 dalmatians. 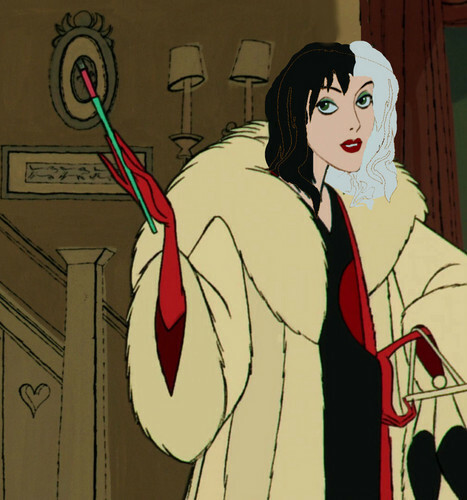 I always found it weird that people think Cruella is an old lady when the movie say that Cruella and Anita were friends/classmates growing up, meaning they must be the same age. I'm thinking Cruella's looks went to hell when she got to smoking so much, which explains why her head is shaped like a skelliton and her skin is sickly looking. I based the look of her hair and face off the Once Upon A Time version.